Schedule extended: Solicitor received too many proposals and will need more time to review them. Vendor pushback: Submission period is extended since some suppliers balked at the short timeline and the solicitor wants their bids. Lets look at each of these situations a bit more closely to get to the root cause of each one. Scheduled extended – Many times a company has a template driven procurement process. The procurement department forces the software vendor to adhere to the timeline without regard to complexity of solution or the number vendors being sent the RFP. If there are only three vendors in a niche marketplace, procurement will still require the business sponsor to send the RFP to ten vendors regardless of their applicability to the actual project. This happens over and over again when we receive Web Content Management RFPs when our software is classified as an Enterprise Content Management System. With a little homework, the company looking for a solution can distinguish between the two, but in all fairness, some vendors blur the lines between solutions in their marketing speak to make their solution broader in capability then it truly is. When the procuring business receives back way more responses than they anticipated, of course they are going to need more time to review each proposal. Again, sending out an RFP to a large disparate group of software vendors is going to result in a large disparate group of RFP responses which then confuses the entire procurement process which leads to delays. Think about receiving vendor proposals whose approach is to build from scratch versus vendor proposals that want to use best of breed tool integration versus vendor proposals listing third party systems that only require a little configuration. Three valid types of responses, but very different RFP responses. Confusion around solution approaches usually leads to procurement delays. 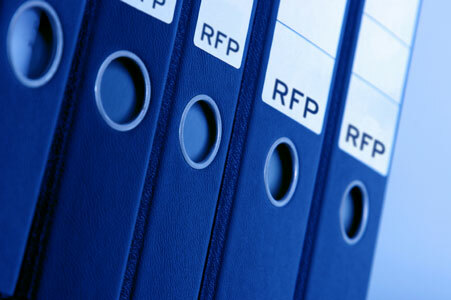 Vendor pushback – Let’s be honest, many companies have preferred vendors when they send out an RFP. If those preferred vendors push back on the company because the timelines are just too short to respond, a miracle occurs and the deadline gets extended. If the vendor is not on the preferred list, most likely the schedule will not be extended and the vendor will submit a basic response just to stay in the game. Some organizations do however hold tight to the schedule regardless of how ridiculous the timelines for questions and RFP response truly are. Those are the rules and its my game, so do as I say. Unfortunately some very good vendors are weeded out when this happens because the procurement department is just too rigid. There needs to be a give and take between the procuring business and the vendor. Actually, realistic timelines would be most welcome. Mismanagement – I could probably write an entire blog post about how poor some companies are with managing the RFP process. In general, the process does not come second nature to anyone in the business and the procurement department is forcing the process onto the organization because that is their mandate from management. In addition, many companies really don’t care about timelines after they receive RFP responses. At that point, they have the information they need and will take whatever time THEY need to review the information and figure out next steps. It always amazes me that suddenly when the RFP responses are turned in, a black hole appears and no communication comes out of the organization. Timelines are missed by the procuring company, phone messages are left and follow-up emails are sent by the vendor…silence. Miraculously communication picks up a month after the deadline to communicate to the vendors and now the procuring company has 100 questions that need to be answered in 48 hours or less. And did I mention that if the procuring company actually read the RFP, the questions are answered in the text. You see, most companies read the executive overview, look at the proposed implementation schedule, and obsess on the budget numbers. The rest of the RPF response to them is filler. There is no single way to fix the procurement process. Some companies have a very good procurement process while others seem to do it to appease procurement and therefore really have no interest in following the process unless it is advantageous to them. Let’s start by having both sides adhere to the timelines set forth in the RFP. That includes final selection and start of the project. All any vendor wants is a fair shot at winning the opportunity and having the procuring company live up to their side of the relationship. If you want to see why we receive RFPs for publishing automation solutions, register here to see a demo of RSuite®.